"You so much as flinch and I will blow your head off!" Perfect timing, I'd say. The Weinstein Company has released the official US trailer for Gavin O'Connor's long-delayed action western Jane Got a Gun, starring Natalie Portman. We've already watched a number of trailers for this film so far, including a full-length international trailer, so this is just another reminder that it is still being released later this month. It's also nicely timed with all the political discussion about (and obsession with) guns in this country, which might help get a few more people out in theaters to see this considering it has "gun" in the title. Also featuring Joel Edgerton, Rodrigo Santoro, Noah Emmerich & Boyd Holbrook in the full cast. Lock 'n load! Jane Got a Gun is directed by Gavin O'Connor (Miracle, Pride & Glory, Warrior) and written by Brian Duffield (The Divergent Series: Insurgent). 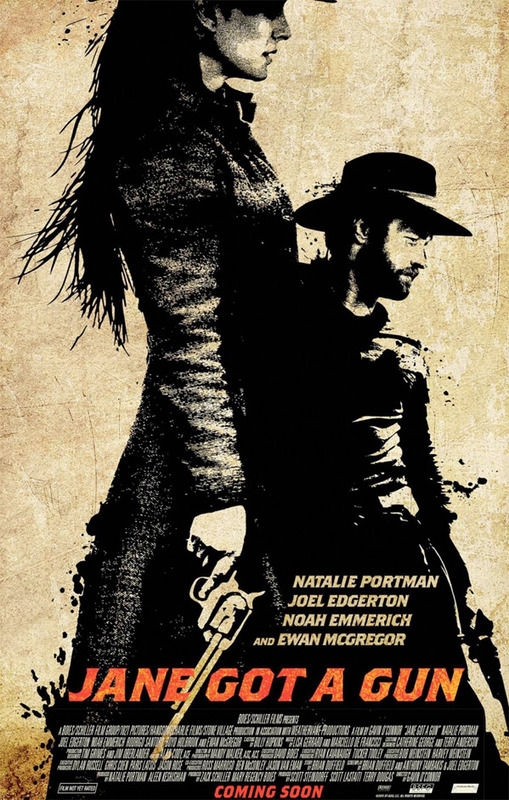 After her outlaw husband returns home shot with eight bullets and barely alive, Jane (Natalie Portman) reluctantly reaches out to an ex-lover (Joel Edgerton) to help her defend her farm when the time comes that her husband’s gang eventually tracks him down to finish the job. Noah Emmerich also stars in the film as Portman's pursued husband while Ewan McGregor plays the gang leader. Rodrigo Santoro and Boyd Holbrook also star in the film, which ran into numerous problems during production including the original director never showing up. The Weinstein Company is now planning to release O'Connor's Jane Got a Gun starting on January 29th, 2016 next year. See the other trailer here. Been a long road to this movie. Ewan McGregor filmed his cameo in Million Ways to Die in the West while shooting this and that's been out on DVD for like a year. Now this is looking a lot more like ASSAULT ON PRECINCT 13 but in the Old West...still not so bad. Does she keep losing the gun or something? It seems to have taken longer than Star Wars to come out.